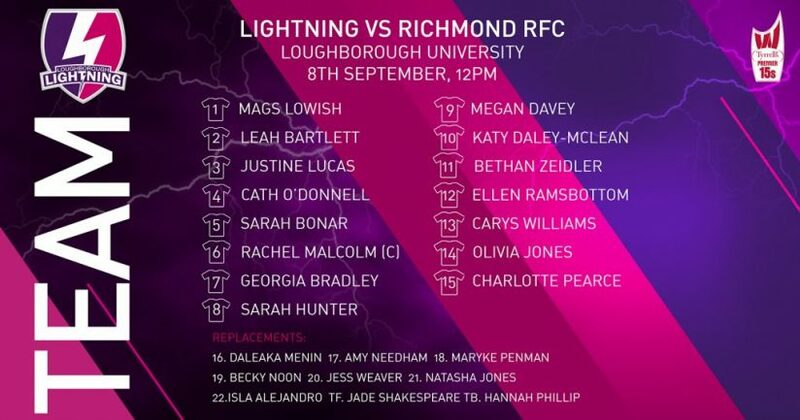 Loughborough Lightning have today released their line-up for their first Tyrell’s Premier 15s clash of the season against Richmond FC on Saturday 8th September. The game, which forms part of a double header with the Loughborough men’s National One game against Cambridge RFC, will kick off at noon on the 1st XV pitch on Epinal Way. Leading the way will be Lightning captain Rachel Malcolm, the Scotland international starting at flanker and forming part of an extremely strong pack, bolstered by new signing Justine Lucas at prop. Another new face to the Lightning squad is England international Katy Daley-Mclean, who steps into the 10 spot and will lead backs. Senior international Olivia Jones makes a swap from the forward pack to the backs and will sit on the wing alongside fellow international Charlotte Pearce at Full back. 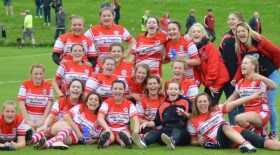 Lightning’s noon kick-off is free of charge, so head down to campus and show the ladies your support.